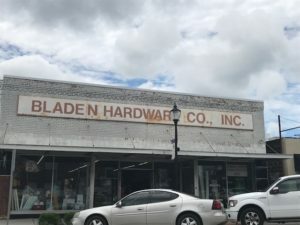 CHARLOTTE, N.C. – The Bureau of Alcohol, Tobacco, Firearms and Explosives (ATF) and the National Shooting Sports Foundation (NSSF), the trade association for the firearms industry, have announced a reward for information leading to the arrest and conviction of those responsible for the burglary of Bladen Hardware Company, a federal firearm licensee (FFL), in Elizabethtown, N.C. ATF is offering a reward of up to $5,000, which will be matched by the NSSF for a total reward of up to $10,000. 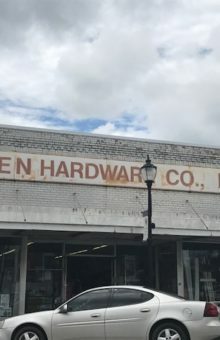 Unidentified suspects forcibly entered Bladen Hardware Company, located at 138 South Poplar Street, Elizabethtown, N.C. 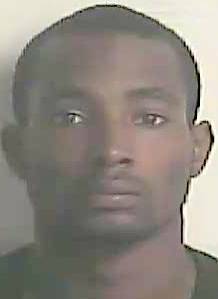 The suspects stole multiple firearms during the burglary and fled the scene afterwards. ATF and the Elizabethtown Police Department (EPD) are investigating this crime. ATF, along with our law enforcement partners, are committed to ensuring that our communities are safe, and that those who commit violent crimes such as this are held accountable. The reward is part of a larger national cooperative initiative between the NSSF and ATF in which NSSF matches ATF rewards in cases involving the theft of firearms from federally licensed firearms retailers. ATF works closely with members of the firearms industry to curb the criminal acquisition and misuse of firearms.